Salomon utility Ltr brown - warm leather winter boots with soft inner material in winter shoe and a non-slip Contagrip sole. With these specifications, you are in any weather, winter. This winter shoe you should order a size up. If you want to make sure that the shoe fits you perfectly, take a quick peek at the Salomon Size Chart. 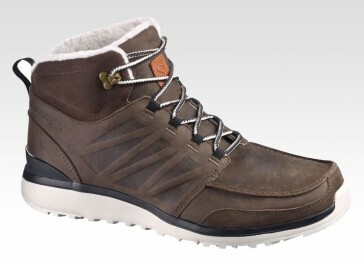 Warm and super modern men's winter boot with soft lining inside the shoe and a membrane made of leather.